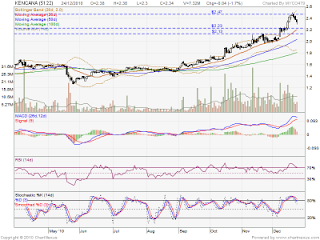 Kencana has been retrace down from RM2.47 high. As 24 Dec 2010 closing, no reserval candlestick been formed. 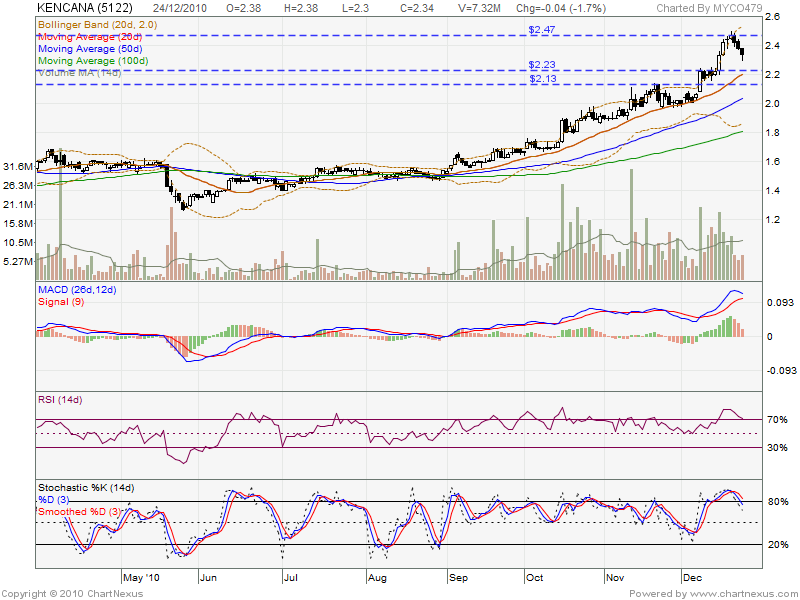 If future retrace down, next support would be RM2.23 & RM2.13 level.